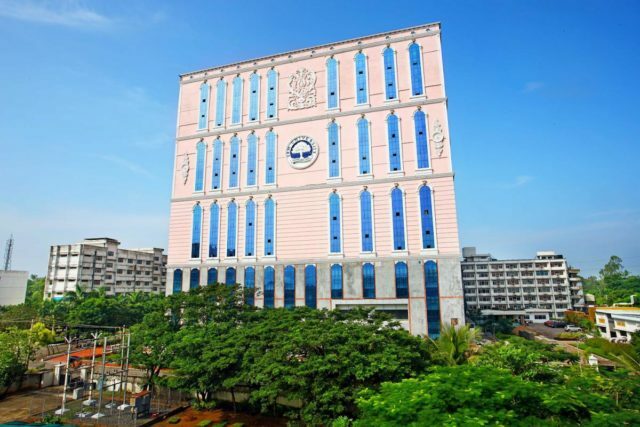 " SRM Institute of Science and Technology (formerly known as SRM University) is one of the top ranking universities in India with over 38,000 students and more than 2600 faculty across all the campus, offering a wide range of undergraduate, postgraduate and doctoral programs in Engineering, Management, Medicine and Health sciences, and Science and Humanities. Foreign faculty, flexible and dynamic curriculum, exciting research and global connections are the features that set SRM apart. Students have a wide choice of cutting edge programs including nanotechnology, bioinformatics, genetic engineering, remote sensing and GIS, embedded systems or computer forensics to choose from. Most of these courses are offered in close collaboration with foreign universities." 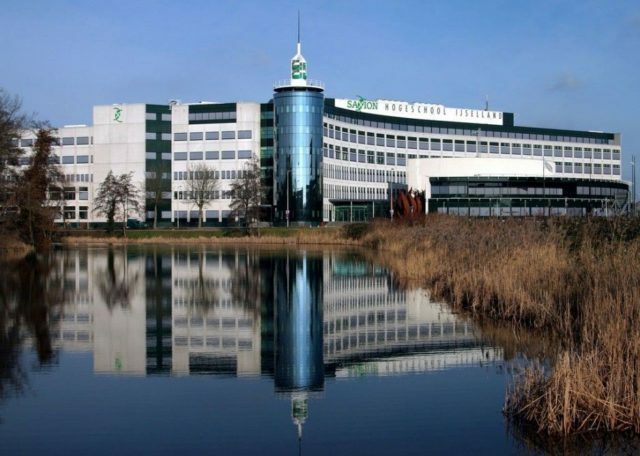 " Saxion University of Applied Sciences is a Dutch vocational university with three campuses in the eastern Netherlands. It provides more than 100 courses in a wide variety of study fields, such as finance, law, engineering, hospitality, business, IT, broadcasting and digital media Saxion helps students build their international future offering support not only from an academic point of view but also in terms of one's personal development. After their graduation students can apply for the Connect Programme, which offers talented graduates trainings, workshops and Dutch lessons free of charge." 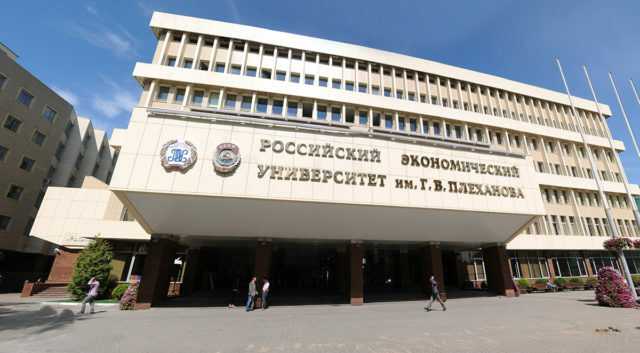 " Plekhanov Russian University of Economics is an accredited Governmental institution licensed to deliver higher education and additional educational services. Status of "University" means that the institution of higher (undergraduate & graduate) and post-graduate education is specialized in a particular field - Economics & Management. Plekhanov University offers a two-level system of economic and business education. The first level - a four year full-time Bachelor Degree Program primarily aims at conveying a broad knowledge of fundamentals of economics and business studies. The second level - two year full-time Master Degree Program - will gain students professional skills focusing more closely on their chosen field. " 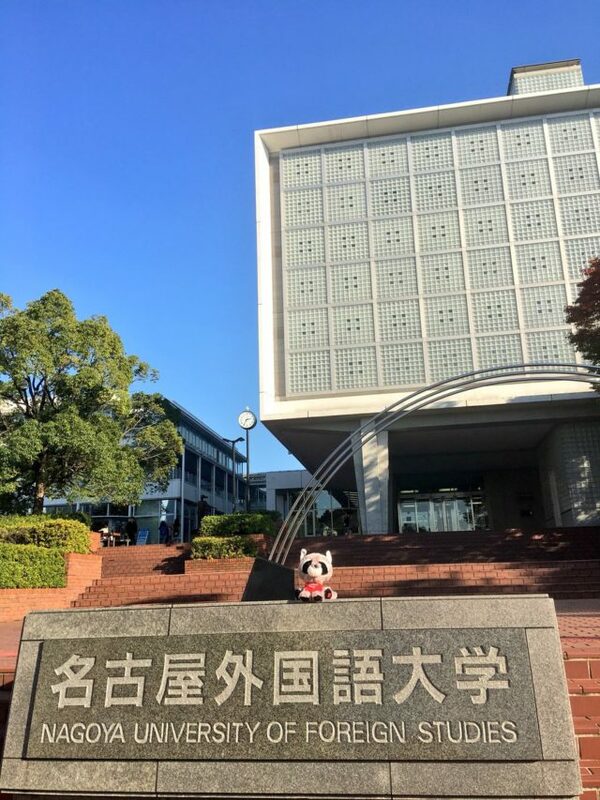 " Nagoya University of Foreign Studies (NUFS) was founded in 1988 and has been growing steadily since its establishment. Starting with only the School of Foreign Studies, NUFS doubled its offerings by establishing the School of Global Business and Economics in 1994. 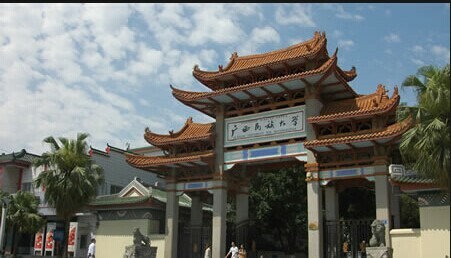 NUFS, which has more than 300 foreign teachers and students from all over the world, has an international campus that is integrated in the following five domains: study abroad programs; active learning; native speakers; career support; and an international campus"
" Guangxi University for Nationalities is a provincial research university in Nanning, Guangxi. 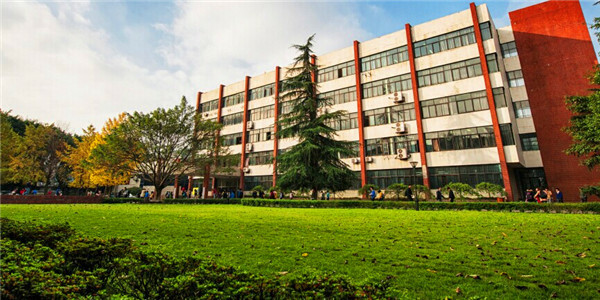 Established in 1952 to serve the ethnic minority populations in Guangxi, the university has historical strengths in ethnology and foreign languages. Guangxi University for Nationalities located in the beautiful western suburbs of Nanning City, Guangxi Zhuang Autonomous Region, on Lake Xiangsi. It has an area of 132 hectare, divided into east and west campus. University includes 19 schools, 58 undergraduate majors, 2 primary discipline master programs, 42 sub-fields within the academic discipline master programs and 4 professional master degree programs. " " Gengdan Institute of Beijing University of Technology was founded in July of 2005 under the joint sponsoring of Beijing University of Technology and Beijing Gengdan Education Development Center. 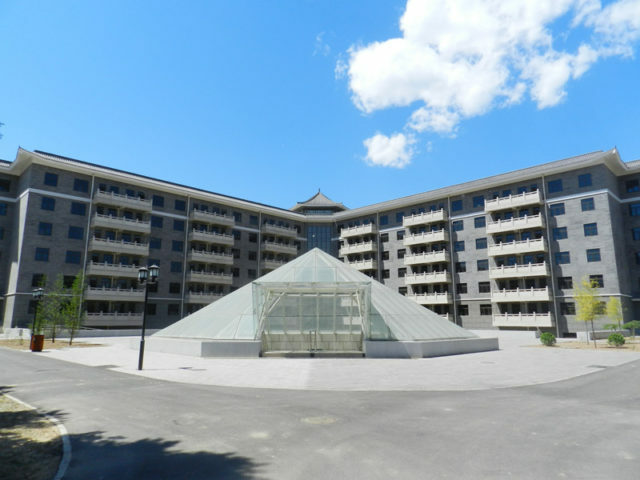 Gengdan Institute is an independent undergraduate institution which operates under a new education mechanism and a mode of private tertiary education in China. The Institute is job-oriented in its education planning. The advantage of metropolis resources and economic development demands provides the bases for academic programs, featured courses and practicum on and off Gengdan campus." " Chongqing University of Post and Telecommunications (CQUPT), founded in 1950, is one of the few universities that has been blue-printed and given priority to develop. Along with the birth of People's Republic of China and the liberation of Chongqing, the university was established in 1950. It was transferred from the Ministry of Information Industry to Chongqing Municipality in 2000 under the policy of university system reform, thus financed by the central government and the local government together, mainly by the Chongqing Municipal People. CQUPT focuses on the research and education in the field of information and communications and enjoys a nationwide reputation in the study of posts, telecommunications and information technology, especially for its research and commercialization in 3G mobile technologies, optical sciences and related digital research. " The Dual Degree Program is 2 years (4 semesters at BINUS) + 1 year (2 semesters) at UC + the remaining year at BINUS (for thesis). If you are an international student wishing to apply for an undergraduate or postgraduate course at UC, please apply through UC’s online applicant portal. Don’t forget to check your Credit Transfer pathway first. “Choosing UC is probably the best decision I’ve ever made for myself and most importantly my future. It has given me an insight on how to be a global-minded student. For an International student like me, Canberra with all of its wonderful features has made my time at UC become nothing but an exciting experience”. (Adrini Widya Putri, Double Degree Student, 2019) Download more information (see attachment)"
" On March 8th 2018, BINUS UNIVERSITY will host Prof Finn Erling Kydland, a Norwegian economist who was a co-recipient of the 2004 Nobel Prize in Economics for his ‘contributions to dynamic macroeconomics: the time consistency of economic policy and the driving forces behind business cycles’. The event is part of the 7th ASEAN event series “Bridges – Dialogues Towards a Culture of Peace”, managed by the International Peace Foundation. Through its Bridges program, the foundation aims to provide support initiatives that promote development and peace. The International Peace Foundation has since 2003 presented “Bridges” events across the ASEAN in countries such as Thailand, the Philippines, Malaysia, Cambodia, Vietnam and Singapore. In serving as one of the partner institutions for the 7th ASEAN event series, BINUS UNIVERSITY has the honor of playing an integral role in welcoming the “Bridges” program to Indonesia for the 2nd time. Professor Kydland will deliver a keynote speech titled ‘Consistent Economic Policy and Economic Development’ which focuses on the issue of time inconsistency in optimizing government policies. This centers around the idea that governments need to make credible commitments to good economic policies for the country to benefit long-term. In order to achieve this, governments need to assess factors such as innovation, productivity levels, infrastructure, foreign direct investments, and tax among many others. Having the right economic policy can improve trade nationally and internationally and improve the well-being of citizens. Through its continued internationalization and commitment to “fostering and empowering”, this latest event by BINUS UNIVERSITY is part of the institution’s efforts to equip its students from Indonesia and overseas with the global perspectives and influence them to become solution providers to strengthen the region’s endeavour to sustainably develop. Contribution to efforts aimed at ensuring stability in the Indonesia’s and ASEAN economic development will bring together different stakeholders in the government, industry and the education sector."